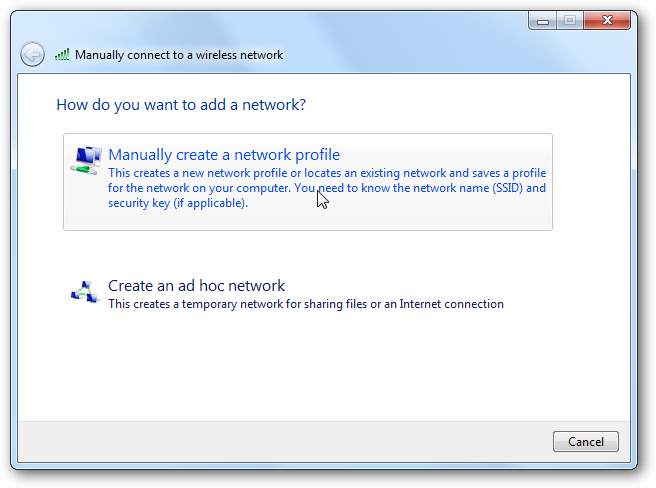 Wireless network settings in Windows 7 are global across all users, but there’s a little-known option that lets you switch them to per-user, so each user has access to only the networks they are allowed to connect to. Here’s how it all works. How is this useful? 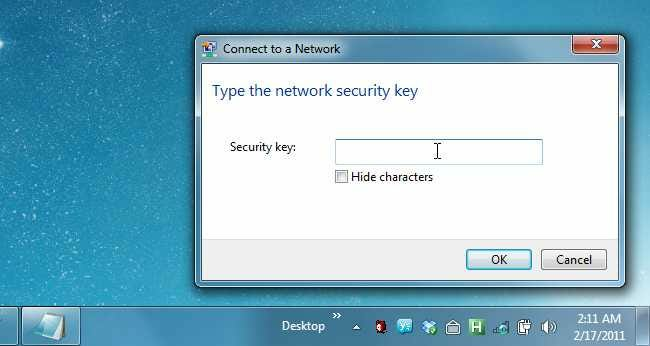 Maybe you want to prevent a particular user from accessing the internet—if you don’t give them the wireless password, they won’t be able to get online. This could be very useful if you’ve got mini-people playing games on the family PC, but you don’t want them getting online. 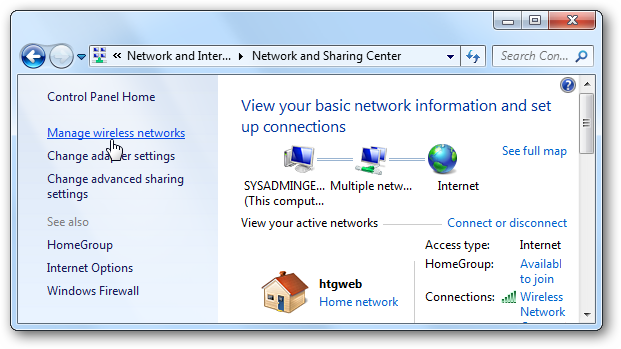 The first thing you’ll need to do is head to Network and Sharing Center, which can be access through the tray icon in the screenshot above. 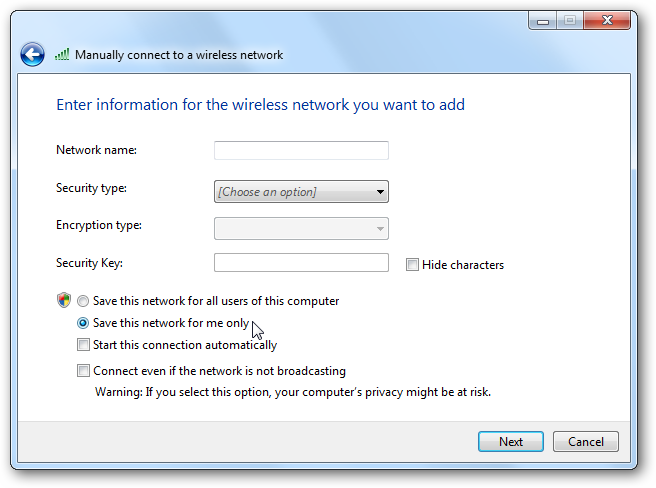 Once you’re there, click on Manage Wireless Networks. Once there, click on the Profile types button. 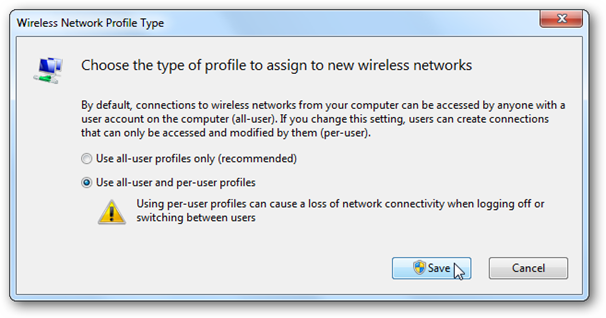 And now you can choose the “Use all-user and per-user profiles” option. Note: the warning message indicates that if you use the Switch Users function to keep both users logged in at the same time, it’s going to possibly cut off the other user. Since that’s what we wanted in the first place, just click the Save button. 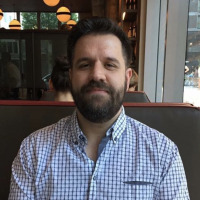 At this point, your system can now use per-user profiles—but any current profiles are still set to all-user. Keep reading. 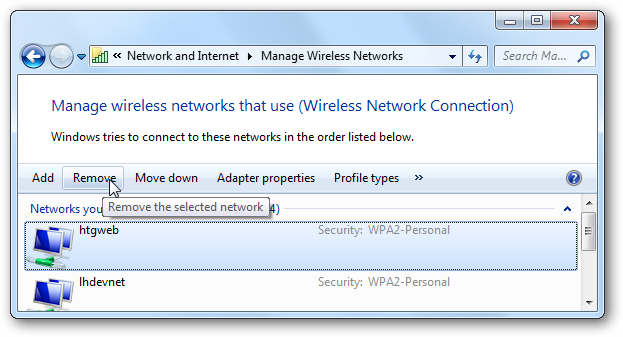 The simplest way to either create a new user-specific wireless connection would be to just connect to a network—the default is per user now. If you want to convert the current one, you’ll need to first remove it. 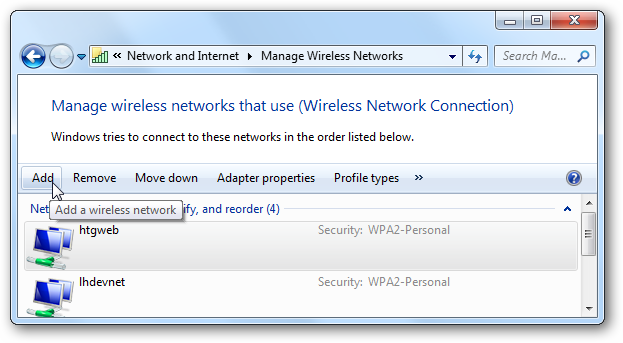 Just select it in the list on the Manage Wireless Networks screen, and then click the Remove button. 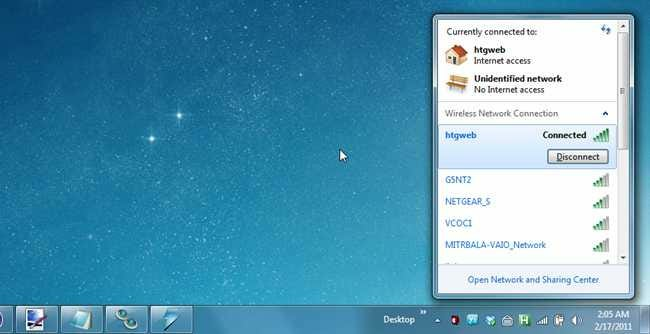 Now you can use the system tray wireless icon to pick a network, connect to it, and then enter the password. 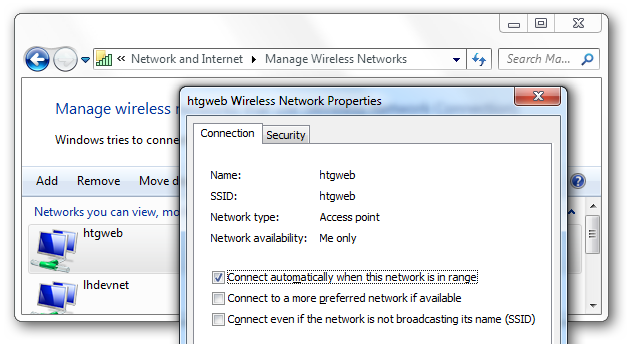 If you right-click on the entry in the list and choose Properties, you’ll see that the “Network availability” option is now set to “Me only”. Success! The same thing will happen for any network you connect to. 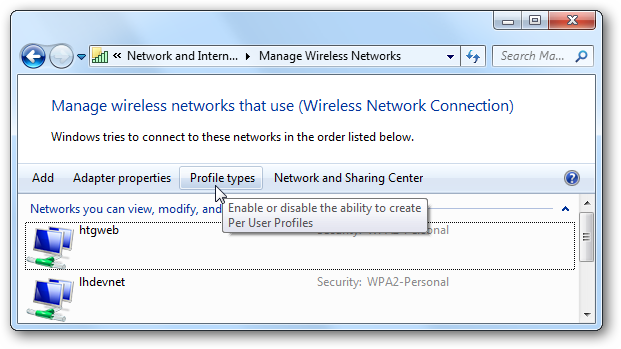 If you use the Add button in the Manage Wireless Networks screen, you can manually choose between per-user or global, which could be useful since the default is now per-user. And now you’re at the screen where you can manually fill out all the details, and you can also choose to create it per-user, or for everybody. And most importantly, you’ve learned something new about Windows 7.